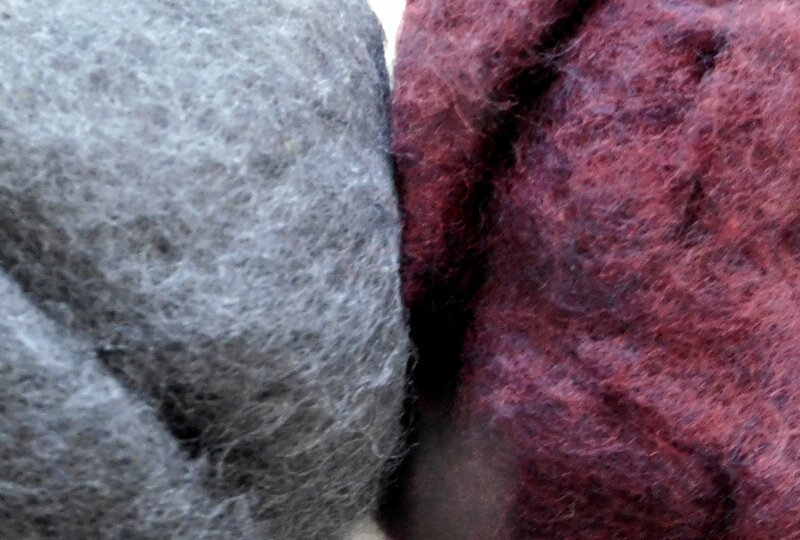 This merino is processed into "batts" and dyed in lovely colors that work beautifully together. If you are wet felting, the "batt" formation is nice for laying out larger projects since it saves a lot of time. If you are spinning, then simply tear down a length or strip and you have roving to spin from! Unlike the other "short stapled merino batt" I currently stock, this one is coarser and offers more structure. 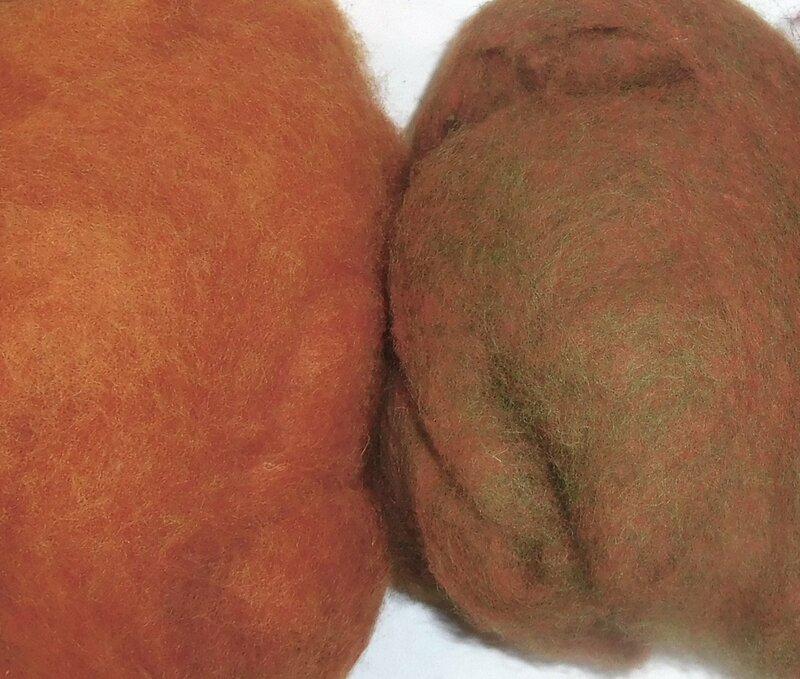 So they are both beautiful options for felting or spinning, but they each have a different hand and structure. 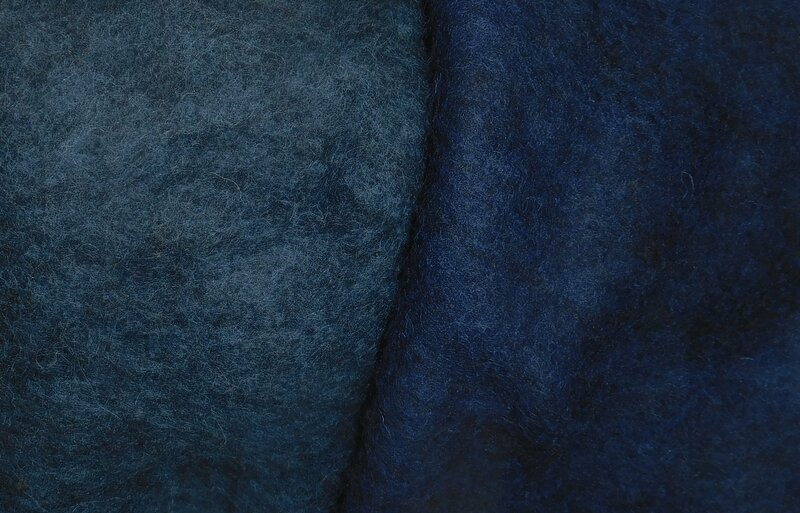 I like the NZ merino batts for more structure - so think boots, slippers, vessels if you are felting and if you are spinning, I think this yarn will have more drape compared to the 19 micron which is softer and has less body. 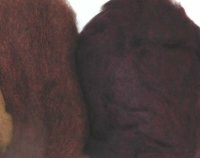 I like the19 micron merino batts I have been stocking for a couple of years now, are better suited to garments. I offer these NZ Batts in both 50 gm and 100 gm bags.